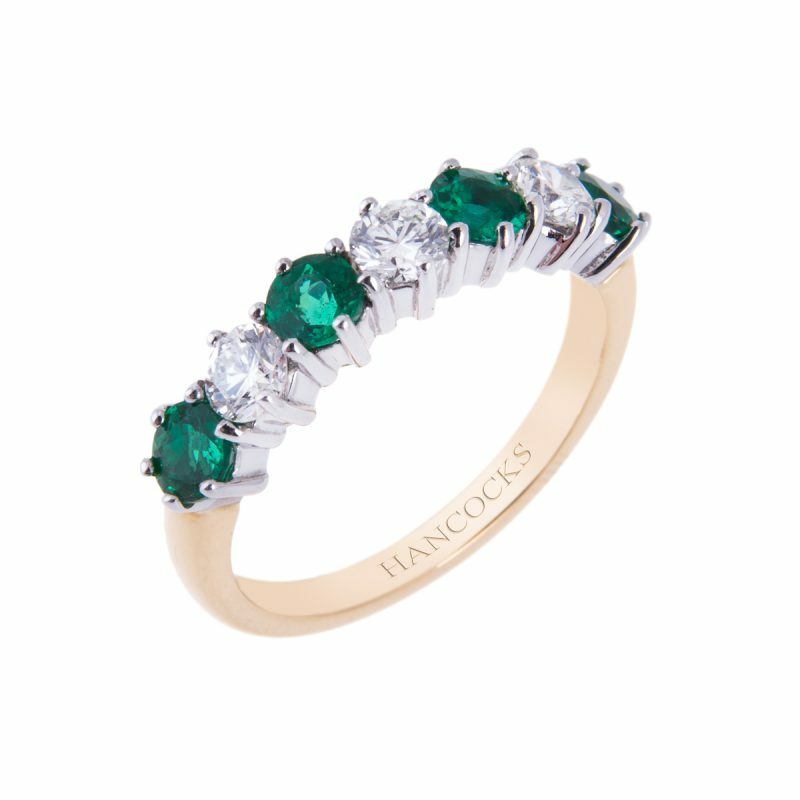 Emerald and diamond 7-stone half eternity ring mounted in an 18ct white gold wire claw setting with 18ct yellow gold shank. 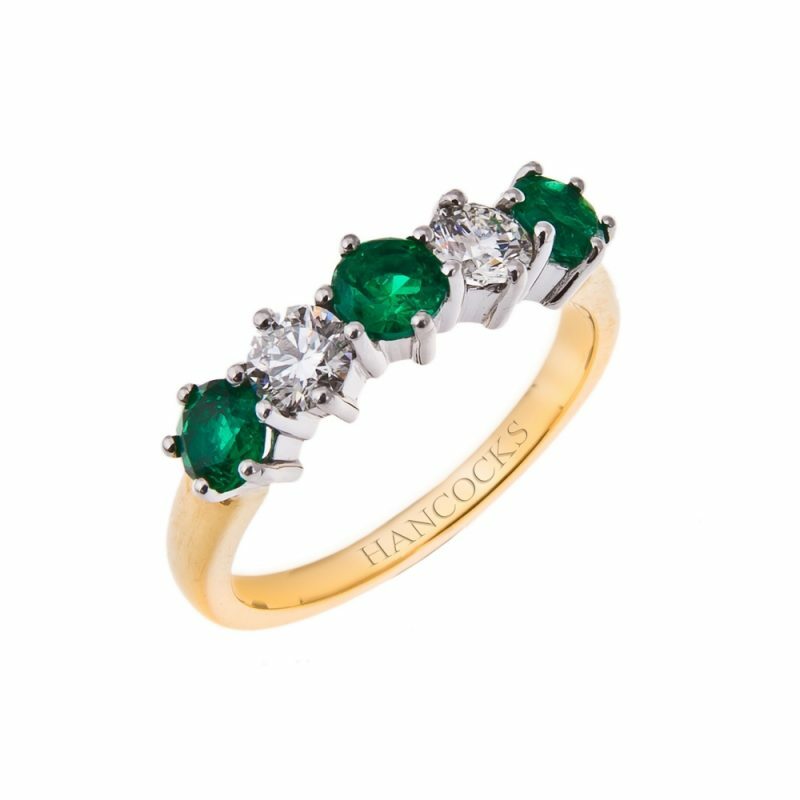 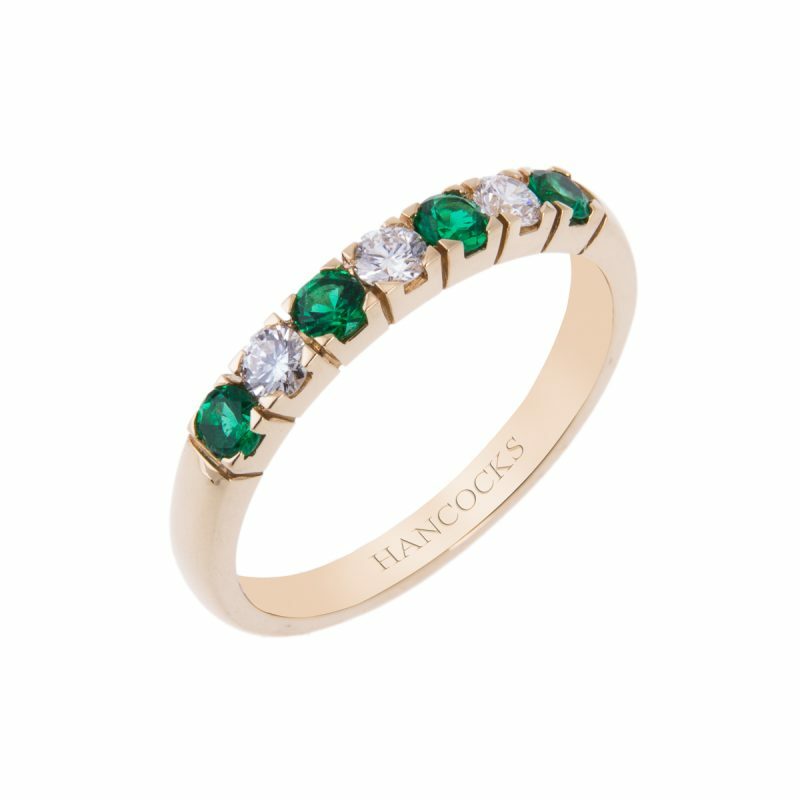 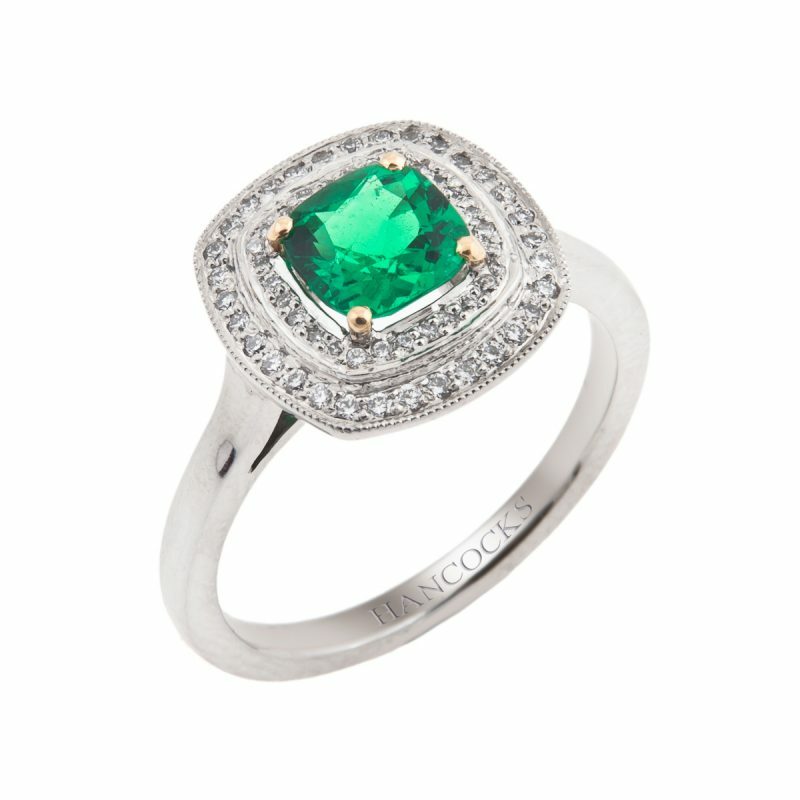 Colour is the most important factor when deciding which emeralds command the highest price, stones that have a strong vivid green colour saturation as these emeralds do are always the most desirable. 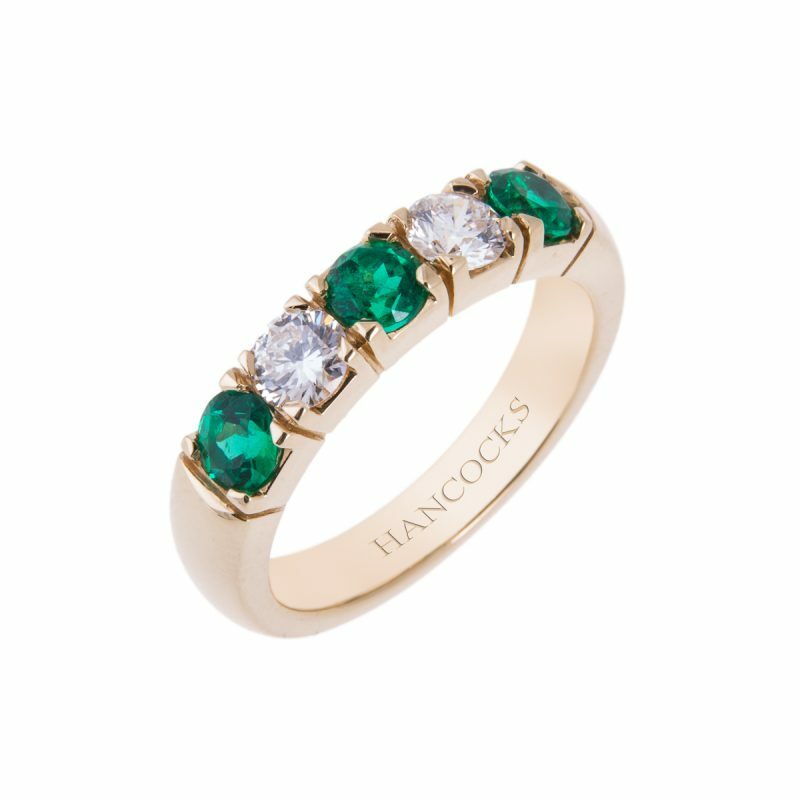 This beautifully matched set of round emeralds is contrasted by the sharp sparkle of the brilliant cut diamonds to make it a truly stunning ring.